Because of the difficulty of getting a job, Putri (28-year-old, deaf) co-founded a coffee shop, that became a space for deaf people to interact with society and employ deaf. 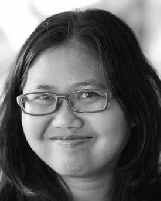 Putri Santoso (28-years-old) was born deaf. Most of her formal education was passed in public schools with the non-deaf environment. Even though she was always bullied by her schoolmates and teachers, she never gave up. After graduating as a Visual Communication Design scholar, she was dreaming to work as a designer in a company. But hundreds of applications were rejected because she was deaf. 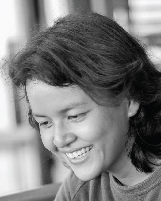 Putri's winding life journey is also experienced by other deaf young people in Indonesia. She is determined to encourage equality, for deaf young Indonesians in their working environment, with her own way. Together with her two best friends, in May 2018, she founded a coffee shop that specifically employs deaf young people. This coffee shop is a new space, for deaf people to meet and network with deaf and non-deaf. Equality in the coffee shop can be seen from simple interactions. For example, the customer asks for the menu, asks to be taught how to order coffee using sign language, and silly misunderstandings which finally can be solved by communication using natural gestures and text. This condition creates friendships among all those who interact in this coffee shop. This coffee shop has only been running for 10 months, but already has 2 outlets and now gets lots of offers from investors to open branches in other cities in Indonesia. But it becomes a challenge for Putri as perfectionist figure. Because she wants every outlet to meet the initial standards and objectives, of establishing this business. For her, it’s not only a business but more than that, it’s about how to get the impact to the deaf community. Wini graduate from the Department of Communication, University of North Sumatra. She has experience producing various audio-visual content such as television news programs, public service advertisements, music videos, fiction films, and documentaries for social campaigns. In 2015, with two friends, they jointly established Sedap Films, a production house based in Jakarta. Last year, she produced a short fiction film that raised the issue of deafness disability. Currently, she is preparing to release a short documentary about deaf young people whom she targets to be screened in various communities in Indonesia.